If you require, you can get everything from a single source – from the design stage to the complete supply chain management of the ASIC production. Alternatively, you can assign just one portion of the design or production tasks. Our head office is based in Germany and we are directly available to you on-site. 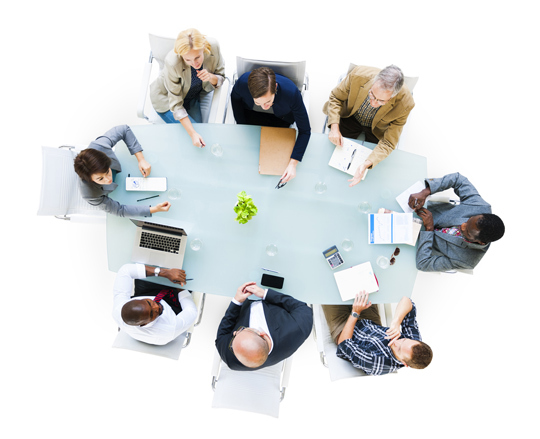 Short channels and fast communication makes working together easy and simple. At our site in Kesselsdorf we offer the complete service, from development to the preparation of the volume supply of electronic components. Our experts in the procurement of electronic components and services related to the manufacturing and supply of customer-specific integrated circuits are based in Herrenberg. With logistics supported by ERP, we can fulfil any customer requirement, from procurement planning, production management and stock-keeping to the delivery of the finished product. Since 1997 we have been satisfying customers from the electronics industry with our high technical competence and professional services. Productivity Engineering GmbH was founded as an owner-managed software development company by Manfred R. Gehring near Freiburg. The headquarters of Productivity Engineering was moved to Herrenberg and at the same time a branch was opened in Denzlingen near Freiburg. Cooperation began between Productivity Engineering GmbH and X-FAB Semiconductor Foundries AG. All customer support of the THA1008 und THA1006 Gate-Array-Series was taken over, from development to series production. Subsidiary company Productivity Engineering IC Design GmbH was founded in Kesselsdorf Field of activity: Development of customer-specific, integrated circuits. 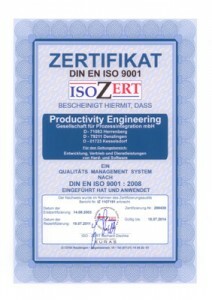 Software development (Denzlingen branch) was spun-off from Productivity Engineering GmbH to an independent company. Through integration into Serma Technologies S.A., Productivity Engineering GmbH became even more global. Our ISO 9001 und ISO 14001 certifications are an evident mark of our high quality services. 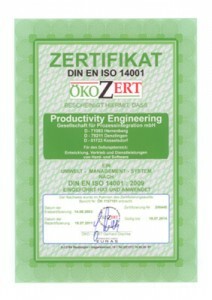 Productivity Engineering GmbH (PE) is committed to sustainability and responsibility in its entrepreneurial decisions. In addition to ethical obligations to which PE is dedicated the conformity to regulations and obligations of material usage in the production of integrated circuits is of great importance to us. You will find our Material Compliance Statement here. E. Schnur, Product Management: "PE developed several Integrated Circuits for us. In doing so they performed always in time, with high professionalism. Their way of open and target oriented communication never made us feel being left alone." Dr. Roland Aubauer, CTO - Research & Development: "High innovative products require a competent partner in the development phase and beyond. For the integrated circuit needed in our system, IDENT TECHNOLOGY has joined with PE GmbH, who not only translated the specification into silicon, but also worked close together with our specialists in order to create the best possible system solution. PE GmbH has been able to meet all targets, technically and time wise. We appreciate their competence, flexibility and target-driven style of business partnership, starting from specification up to product volume delivery." U. Richter, Senior Vice President of Cross Match Technologies in Jena: "We decided to cooperate with PE GmbH to satisfy our very special requirements for the development of Mixed Signal ASICS for high resolution fingerprint capture systems on a new, innovative sensor foil basis“, said U. Richter, Senior Vice President of Cross Match Technologies in Jena/Germany. „The decision was mainly driven by the proven capability of PE to develop and realize these highly complicated ASICS in the shortest time frame and to our full satisfaction. "